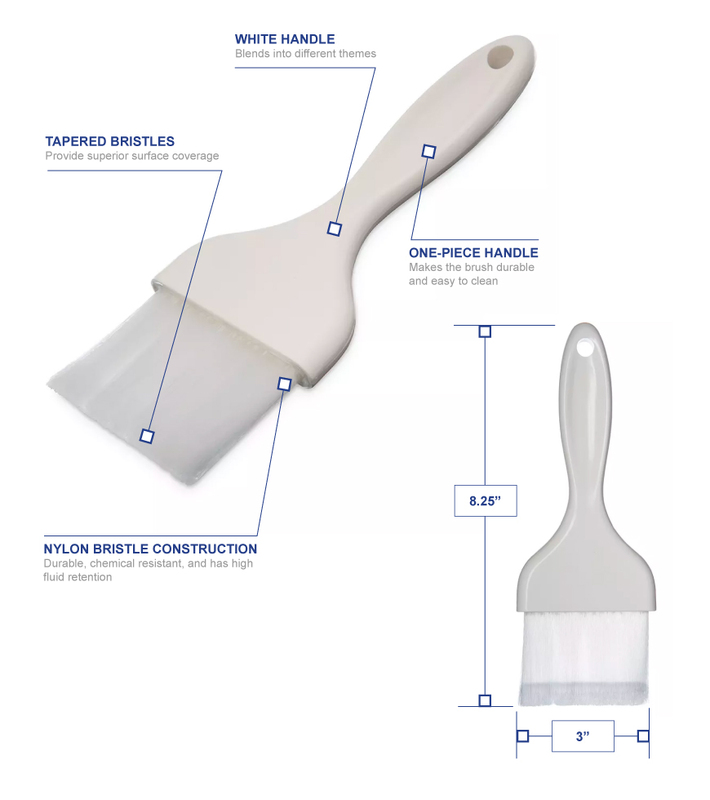 The Carlisle 4039202 Galaxy™ pastry brush has superior surface coverage since its bristles are tapered with a chisel-point trim. 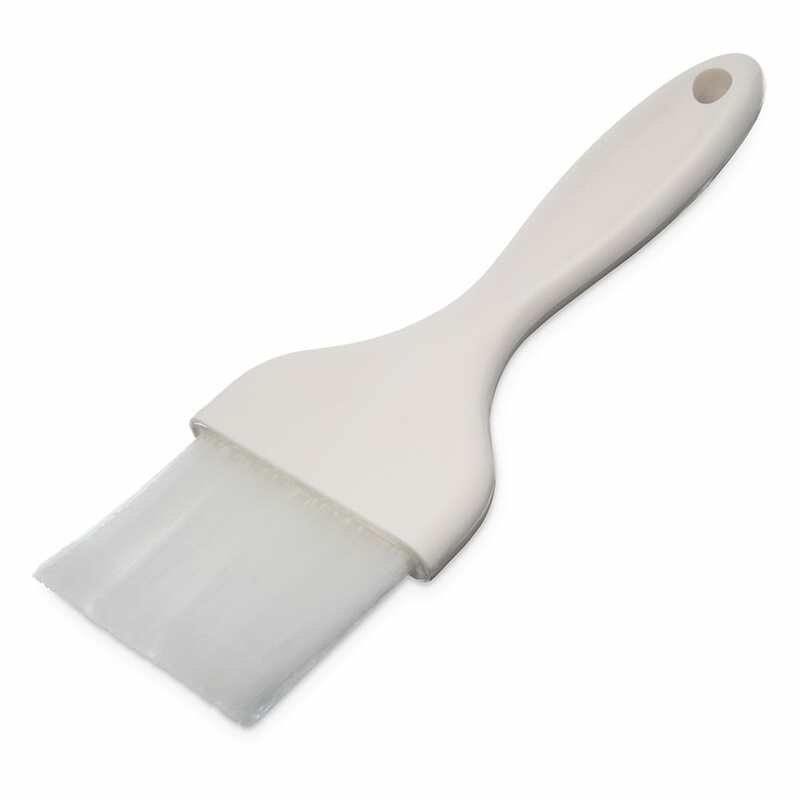 Made of nylon, the bristles retain fluid and resist damage from chemicals. To eliminate air pockets that could harbor bacteria, the bristles are epoxy set to ferrules on the one-piece handle.